One probable argument against using SBCs in HPC is that these low-power, low-cost, low-performance units are toys and, from a price-performance perspective, are less cost effective than higher powered systems with better price-performance ratios. However, the most favorable price-performance is not the sole measure of success. For example, each node of the SBC cluster shown in Figure 1 was built by a high school student; then, the nodes were assembled so that the students could learn about clusters. 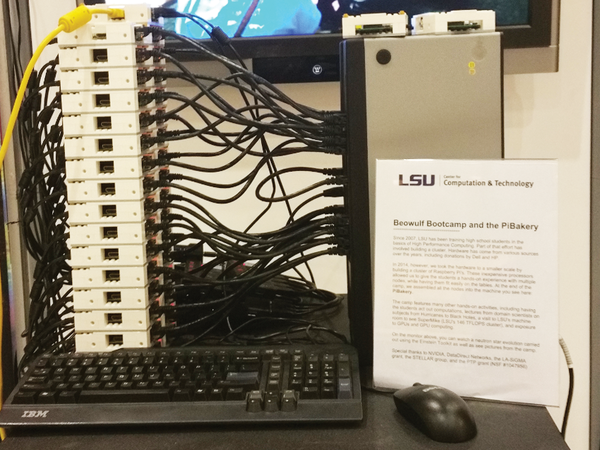 Figure 1: Raspberry Pi cluster at Louisiana State University. Right now, the appeal of SBCs is that they have all of the components of production systems at a very low cost in money and power. They are not really designed for performance, although some applications run very well on the systems. In fact, some people say that SBCs are the future of HPC, or at least a component in this future. Given the lower performance of the systems, this might not seem likely. However, the announcement by Nvidia of a new 64-bit SBC might change that perception. The Tegra X1 chip has eight ARM cores, all 64-bit, in a big.LITTLE architecture along with a very powerful GPU that can be used for computation (see the "Tegra X1 Specs" box). Memory bandwidth has been raised to 25.6GBps to "feed the beast." All of this only uses about 10W of power, so the performance per watt metric for this system is pretty remarkable. I'm writing this article in early January 2015, when the CES 2015 press release deluge was beginning. The thing that caught my eye was Nvidia's announcement of the new Tegra X1 chip . This is the next generation version of the K1 chip used in the Jetson TK1 SBC mentioned in Table 1. Nvidia didn't announce any new SBCs that use the X1, but I'm willing to bet that one isn't far behind. Using the pricing of the Jetson TK1 SBC as a guide, an X1 SBC might cost $256 ($1/GPU core). Although an SBC based on the X1 would be amazing, a price of $256 would put it out of the reach of many people (me included), so I hope it's cheaper. The Raspberry Pi has re-invigorated the SBC market, and now a whole range of SBCs are available. Because they are inexpensive, use very little power, and are very small, some groups, such as the Mont-Blanc project  at the Barcelona Supercomputing Center, are trying to use them to build very large systems. For small clusters, clusters for education, or clusters that are seriously constrained by price or power, you can make a case for the use of the wide variety of SBCs on the market. Moreover, Nvidia just announced a very cool 64-bit chip that could form the basis of a very nice SBC. I recommend you keep your eye on these SBCs. Although they might not meet your HPC needs now, they could in the future. Plus, tinkering with these small computers is lots of fun. HPC has a unique set of requirements that might not fit into standard clouds. However, plenty of commercial options, including cloud-like services, provide the advantages of real HPC without the capital expense of buying hardware. Getting started in the HPC world requires learning to write parallel applications and learning to administer and manage clusters. We take a look at some ways to get started. The Xeon Phi accelerator card from Intel takes an unusual approach: Instead of GPUs, the Xeon Phi features a cluster of CPUs for easier programming. Stepping Back to Move Forward: Breaking the rules could offer some new avenues for the future of HPC. Is Hadoop the New HPC? Hadoop has been growing clusters in data centers at a rapid pace. Is Hadoop the new corporate HPC?